In a move that confirms both its trust and belief in the potential held by the binary options market, which it entered in 2013, Alpari, which already offers trading in six different binary options types and numerous trading instruments, has recently officially announced its decision to introduce ruble denominated binary options trading accounts. 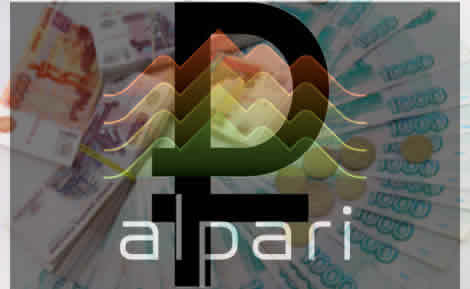 Up until now, the only available alternatives for customers opening an account with Alpari were US dollar and EURO denominated accounts. With the addition of the ruble as a third currency option, the company will become more attractive to customers who have reasons to prefer the ruble as their account currency. Moreover, this move proves the broker’s commitment in the Russian and CIS markets and shows that it is responsive to the specific needs and wants of customers from this region. It goes hand in hand with the current trend and effort by Russian authorities to strengthen the ruble and help it gain more prominence on the world stage in general and in the financial trading markets in particular. This is in line with the global increase in the demand for ruble liquidity which has been recorded over the last year, is which also attributed to the fact that there have been significant infrastructural improvements between the trading venues in Moscow and their counterparts in other regions such as Europe and North America and most recently and perhaps more significantly in the form of the officially institutionalized cooperation agreement between China and Russia on yuan and ruble trading, which opens up new horizons and a new dynamic for synergies and development. The CIS region as well as China, and Asia as a whole are rightly regarded as very lucrative regions offering great potential for further development and that is why industry stakeholders are increasingly focusing their attention on these regions.